When you step into our beautiful Brooklyn showroom at BMW of Brooklyn, prepare to be wowed by our extensive 3 Series lineup. We will ensure that BMW of Brooklyn is the first and last place you will need to shop for new or used BMW of your dreams. The team here is proud to serve the Brooklyn, Bay Ridge, Dyker Heights, Queens and Staten Island communities and would love the opportunity to earn your business. Stop by the dealership, contact us by phone or fill out our contact form and we will be happy to assist you. Due in large part to the brand’s constant reinvention, hand craftsmanship, and attention to detail–all in the pursuit of achieving the most genuine driving pleasure possible–BMW has established itself as an apex in the luxury automotive world. If you’re in the Dyker Heights, Queens, or Staten Island areas and have the need for speed or a craving for an opulent automotive experience, the BMW vehicles in our new inventory are a great place to start. No matter what new BMW suits your individual preferences and needs, our Brooklyn showroom is bound to exceed your every expectation. We provide Brooklyn area residents with a wide range of new BMW vehicles, like the 328i, 428i, 528i, X3, and X5. We know that you will find the perfect new vehicle at our dealership. You will be happy both with our selection of vehicles, and with our service, no matter what type of new car or SUV you desire. Our friendly and knowledgeable sales team will help make your selection and purchase completely stress-free. We firmly believe that when it comes to shopping for your next luxury automobile, the entirety of your experience should be just that: luxurious. We’re proud to be able to offer our Brooklyn and Bay Ridge customers with not only some of the most exquisitely crafted, distinctively styled vehicles around, but also with the superior care and customer service necessary to truly enhance the shopping experience. If a used car is what you are looking for, we have an impressive selection for you to choose from. At our dealership located at 9326 4th Avenue in Brooklyn, we have a constantly revolving inventory of pre-owned, off-lease and demo models ready for you to drive home today. We are a major destination for drivers throughout the tri-state area because of the high-quality vehicles we offer. Stop by today and we will help you get behind the wheel of the Ultimate Driving Machine! Do you need BMW financing in Brooklyn? When you work with the experts at BMW of Brooklyn you get the unmatched experience of our finance team who will work with lenders on your behalf. Understanding your needs is very important to us. We can customize a loan or lease plan suited to your individual situation and lifestyle. Call or stop by today to speak with a financial representative. The service department at BMW of Brooklyn can help you with all of your automotive repair and maintenance needs. Our industry experts are 100% invested in your vehicle to ensure that your car’s performance will remain as it did the day you took delivery. 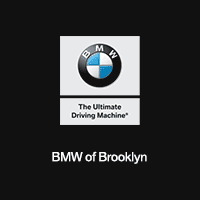 We are Brooklyn’s only M and i car repair facility, using only state-of-the-art BMW diagnostic tools and equipment. In addition, we stock a wide variety of original BMW parts and accessories; if we do not have your exact part available in house, we can acquire it quickly. We encourage you to explore our website to learn more about us. You can find more information about our Brooklyn luxury dealership on our About Us page, but there is no better way to get to know us than to visit us in person. We are located at 9326 4th Avenue in the Bay Ridge area of Brooklyn, NY and we are happy to help you in any way we can. Click on contact us to find us from the surrounding Dyker Heights, Queens and Staten Island areas or give us a call at (718) 215-4220.